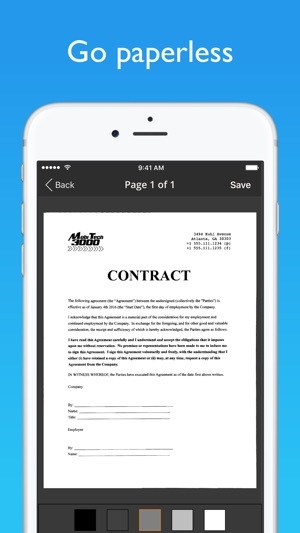 JotNot is the quickest and easiest way to save a digital version of your paper documents. With JotNot's advanced image processing algorithms, your scans come out crisp, clear, and suitable for printing every time. JotNot is the original document scanner app, trusted by millions of people in over 150 countries. It is recommended by The New York Times, TechCrunch, and MacWorld UK. 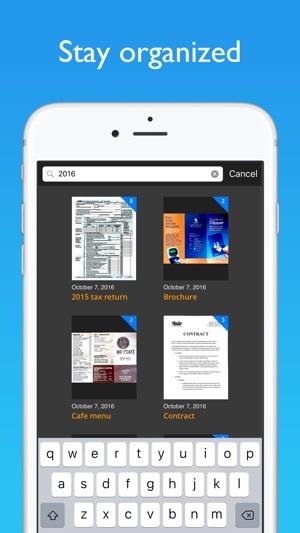 With a PDF scanner in your pocket, there is no need to ever keep receipts in your wallet, tax records in your filing cabinet, or notes scattered across your desk. Scan and archive digital copies, and simplify your life. JotNot is free to use indefinitely. 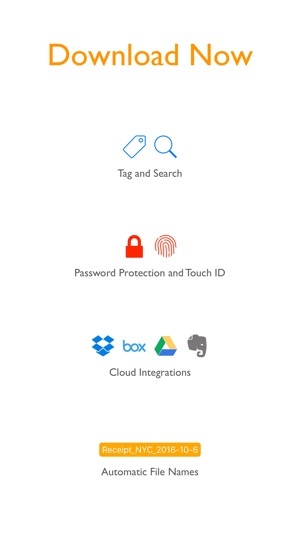 There is a one-time Upgrade to Pro in-app purchase available for unlimited scans and access to advanced features, including cloud storage. Faxing requires credits, which you can buy via an in-app purchase. There are no automatically recurring charges or subscriptions. We aim to provide the best possible user experience and service. Please contact us at support@jotnot.com for personal help from the developers to resolve any issue. JotNot is made in the USA. Thank you for using JotNot! Show your support by leaving us a review in the App Store. 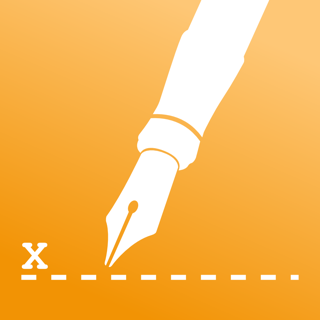 Jot Not was recommended when I first got my iPhone. It took me a while to start using it but now I love it. I travel frequently and have to keep the receipts. When the receipt come I scan it right away. For one trip I can put all the receipts together in one file. If you get things in at different time they too get attached together. Just got the pro version so I can print individual pages. I have to file Trip reports frequently and while I've only had one go missing after it was filed...I had a copy in JotNot. Still using it exclusively for making PDF copies of paper receipts and documents. Great for organizing receipts for an event into one file. 2018 now probably 5 years of use. I LOVE JotNot!! It saves me so much time & money too. 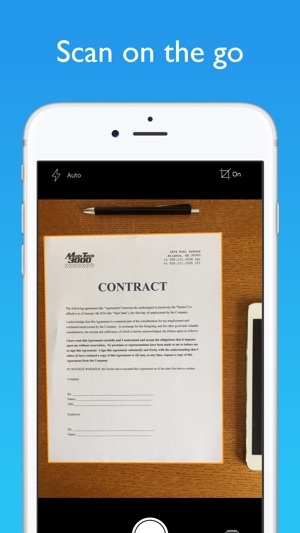 Being able to take a pic of documents & fax or email them with my phone is genius. I use it weekly to send my calendar of availability to my managers & have also used it for bank documents, & a credit card dispute I had to deal with. It is so nice to not have to go into town to use a copy & mail service. Technology has come so far over the last 10 years & this is just one more way to simplify life as we know it. Well worth the $4.99 I paid to upgrade the app & have unlimited access.